Looking to take on the streets of Tampa in a new Volkswagen? 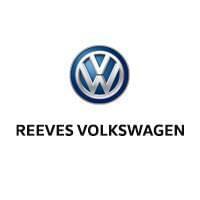 Be sure to rely on the Volkswagen special offers at Reeves Volkswagen. Whether you’re looking to get behind the wheel of the family-friendly Atlas SUV or compact Passat sedan, there’s a new Volkswagen special that will help you get your dream car for a smart price. Once you’re ready to take your favorite model for a test drive, visit us near Brandon! Our VW special offers are always changing, so there’s always an incentive to meet your driving needs. Feel free to contact us about our New Volkswagen specials at your convenience! Be sure to compare the Volkswagen Tiguan vs Honda HR-V to learn more.